Empowerment: A Way of Life will is available now! 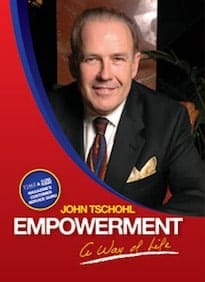 John Tschohl’s newest book, Empowerment: A Way of Life, focuses on the idea that fulfilled, empowered employees lead to satisfied customers. Often the employees that could have the biggest impact on an organization by making rapid and accurate decisions are the least empowered to do so. this book was written to help everyone better understand how to use empowerment and why it is critical to your success. Empowerment is not just a set of rules–it’s a way of life.